Created in 2008, ALTUS ENERGY is a major actor of the photovoltaic industry in Europe. ALTUS ENERGY is a integrated actor that is present in all stages of the life of a solar power plant. Since our creation, we have developed and funded high power generators that represent a total of 130MW all over France, on large roofs and in ground mounted power plants either directly or via our subsidiary THIRD STEP. We have a leading track record, all our generators comply with our budget and with the production estimates. 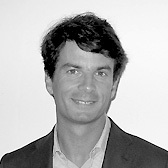 Born in 1972, an entrepreneur and activity development professional with more than 20 years of experience in renewable energy and other industrial secotrs, Mathieu has especially in charge of the implantation of production units and of commercial development in Asia for ALLIOS, the first French independent manufacturer of paints and coatings. Mathieu created ALTUS ENERGY in 2008 and THIRD STEP in 2012. He has a very complete expertise in the development and operational management of photovoltaic power plants, in structuring, negotiation, and follow-up of EPC contracts, in debt and equity financing with banks and investment funds, in due diligence management, in the assessment of solar power plants. Apart from his professional activities, Mathieu practises sailing, windsurfing and cycling. Born in 1976, Sébastien has been directing the technical operations of the whole group since the creation of the company. He oversees the maintenance and monitoring teams which mesh the whole of the territory, supported by several technicians. He is a recognized professional of general electricity and photovoltaics in particular, with over 20 years of experience in this field. He also ensures the design of power plants, the implantation layouts as well as the choice of equipment, and ensures the respect and the application of guarantees by the manufacturers. Sé practises submarine hunting and Krav Maga. 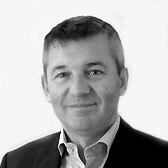 Born in 1971, Bertrand has more than 20 years of experience in the areas of energy, investment, consulting, start-ups and in industrial groups. 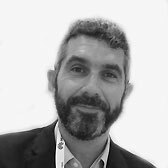 He has held the functions of executive vice- president in charge of the strategy and development of the company POWEO, has lead venture capital operations within GRAVITATION and has been a consultant at MCKINSEY before co-founding 2 start-ups in the field of technology. At ALTUS ENERGY, Bertrand is in charge of the growth of the company and of the definition of its development model in France and in China. In his free time, Bertrand goes hiking in the mountains and plays tennis. 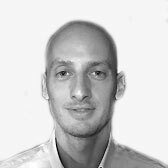 Born in 1972, Hervé has almost 20 years of professional experience in areas as varied as industrial computing, specialty chemistry and renewable energies. He has occupied several functions in marketing, export and management. He is currently in charge of the implementation of project funding files and their administrative, legal and fiscal follow-up. He assists the President in the daily management of the company. Hervé occupies his free time with fitness, reading and cinema. Since 2013, ALTUS ENERGY has been supporting Louise CERVERA, a young athlete from Cannes, great promising talent of the French sailing team for the 2020 Tokyo Olympic Games. Louise is 18 and already has an impressive record, several times champion of France in her category (Laser RAdial) and 1st in several international competitions. Louise participated in her first World Championships in 2015 and qualified for the 2016 edition that will be held in New Zealand in December. ALTUS ENERGY and Louise also share the values of respect and protection of the planet, surpassing onself, and achievement through physical effort.